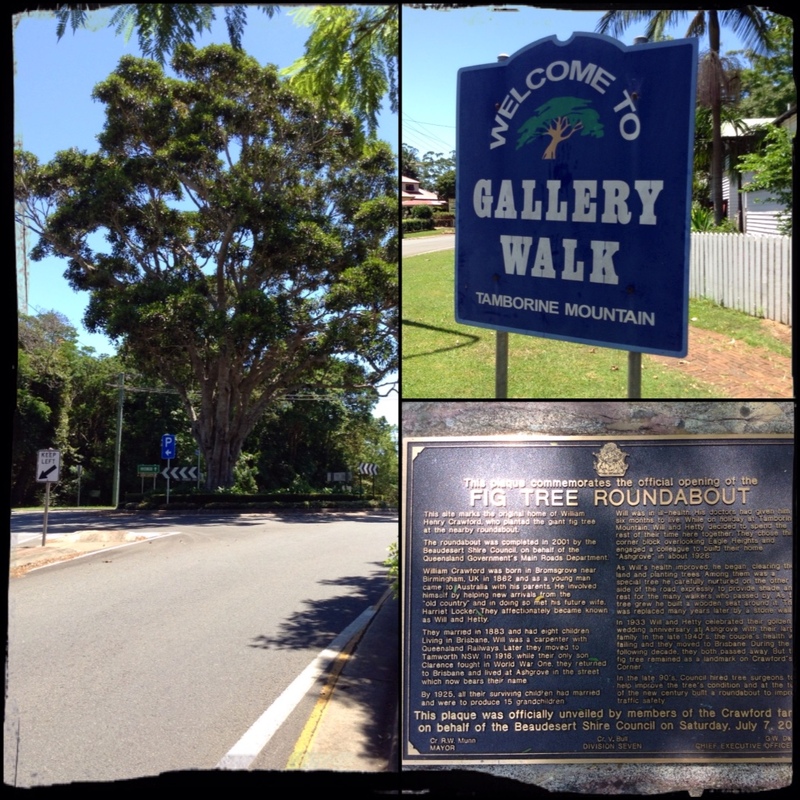 Tuesday we took a short trip up to Mt Tamborine to take a casual stroll down 'Gallery Walk'. We wandered in and out of small boutique shops and stopped in at the Gallery Cafe for Devonshire tea. After our coffee, scones, jam and cream we kept on up the street to the 'Fig Tree Roundabout'. 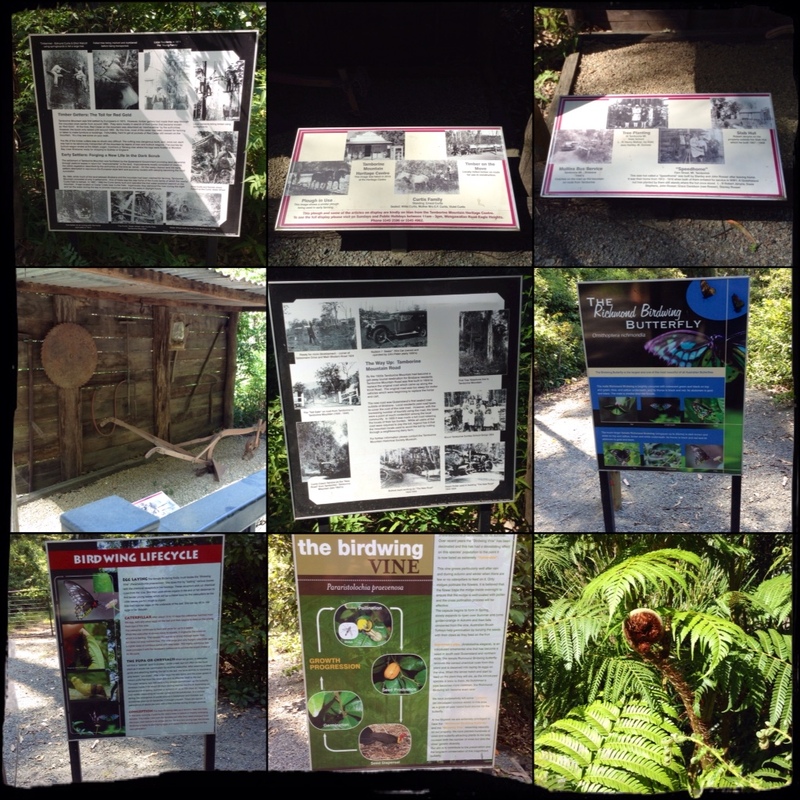 As the plaque states, the fig tree marks the site of the original home of one William Henry Crawford. He planted the tree across the road from his homestead to provide shade for the many walkers who passed by. Across the road we ventured into a little shop called 'Bygone Days'. I could hardly contain myself as I looked through the various laces they had. Gorgeous, beautiful stunning laces at decent widths that would lend themselves to the most gorgeous 1800's gowns. They also had the most beautifully crafted reproduction velvet flowers for hats. Prices were excellent. I will be back! 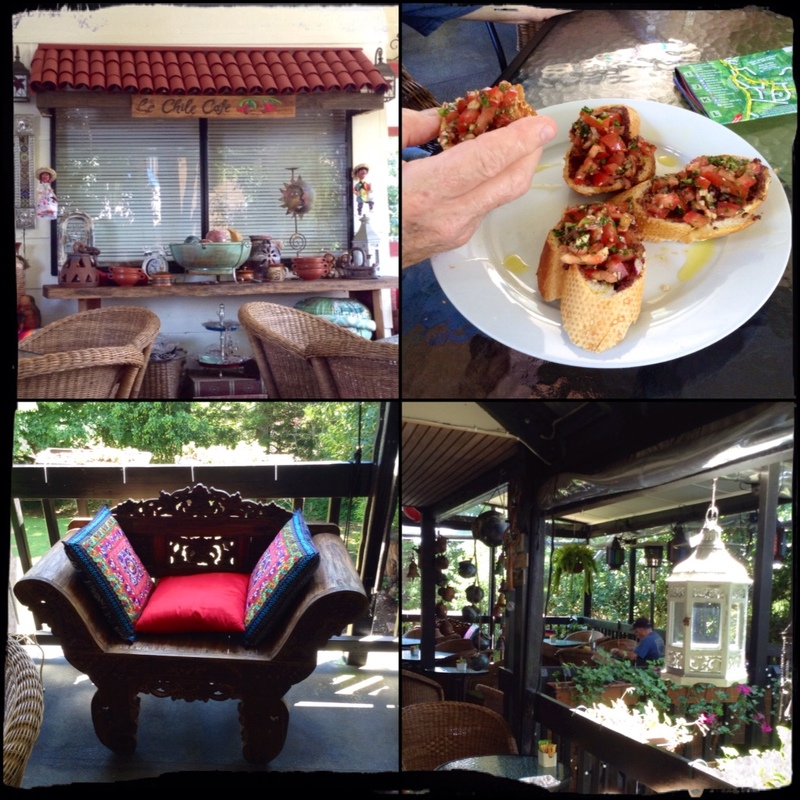 As we meandered back down the road we stopped in at Le Chile Cafe for lunch and had beautiful bruschetta. I wanted Empanadas but they had run out. Onwards to the 'Castle Glen' distillery, 'Fortitude Valley' brewing company for some liquor and beer tasting. The Lazy Knight was a winner – whiskey, white chocolate and ginger. We had a tasting paddle of 5 brews at the brew house. 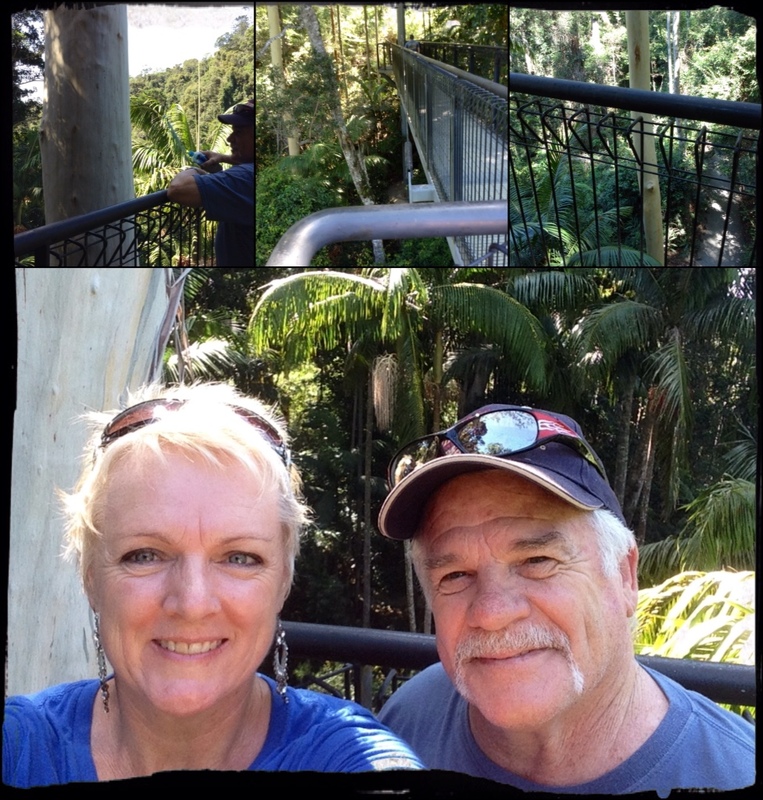 Back in the car and we headed for the Mt Tamborine Rainforest Skywalk. 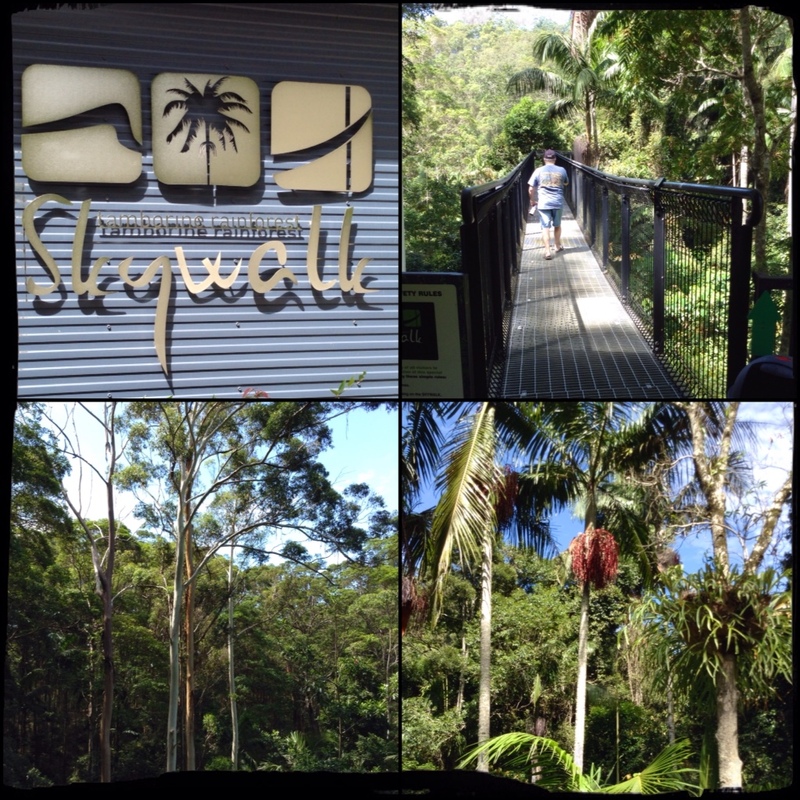 A 40 minute walk through tracks of trees, figs, vines, and overhead walkways through rainforest canopy. There were various trees from palms, figs to the straightest, whitest, huge and beautiful gums I have seen in a long time. There were no orchids flowering at the moment either. 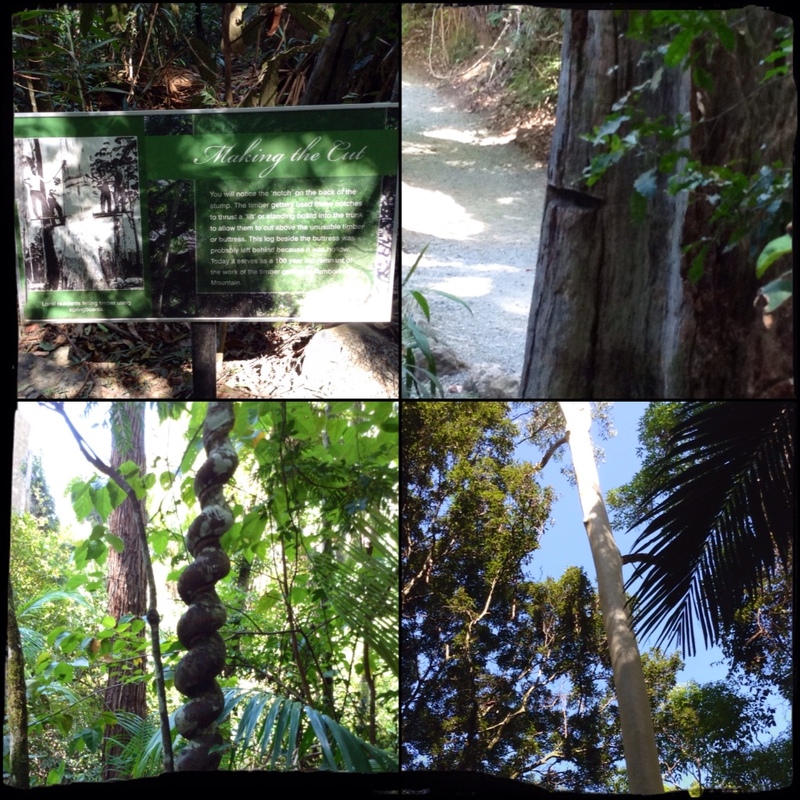 The cantilever platform was fantastic and we could see down to the floor and trickling little creek, listening to the sounds of cicadas and other forest noises……probably frogs. That's it, back into the air conditioned car and headed back for an afternoon swim. 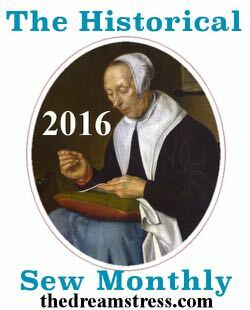 This entry was posted in Lifes a Dance, Love My Life, Sewing and tagged Australia, Bustle Era hat, Hatters Millinery, Historical Sewing, sewing, victorian hats. Bookmark the permalink.